If you missed my interview with Deon on Cool FM 95.9 PH on Saturday 16, 2018, this is for you especially if you are looking to use social media to grow your business. Sharing my marketing knowledge and experience either through writing, speaking or training is one thing I enjoy doing the most these days. They say knowledge is power, but I have learned through my experience as a digital marketer that knowledge can only be power when put into practice and shared with others. That was why the Rivers State LGA election couldn’t stop me from making it to the Cool FM station before 3pm for the social media marketing interview. It was indeed a great time on radio with Deon. Amazing guy! We had a very interesting conversation about social media marketing both on air and off air and I can’t share everything in this post as I must respect your psychology and play by the rule of this platform. If you are like me, chances are you have tried connecting with somebody on social media just search for his account forever like a hen's teeth. When your page is not properly optimized, you make it hard for search engines to collect your data, people struggle to find you, you suffer the most from algorithm changes and platforms like Instagram and Twitter might ignore you when suggesting accounts to your potential followers, and even when they do, they will likely suggest your account to people who may not be interesting in your brand. So your name is Jane, your business name is Janny’s Cakes, meanwhile your social media username and activities depict a science student on a codeine diet yet you are blaming the devil and Buhari’s government for not making sales. I pray sense falls on you today. You have to constantly grow your following and take advantage of Facebook and Instagram ad to amplify your voice so more people can hear your story. If you produce more of visual contents, you should treat Youtube adverting like the way fuel is treated in Nigeria during Christmas. Use freebies, lead magnets, anything that will encourage them to take actions that add value to your brand. Think like a typical Nigerian pastor when it’s offering time. Take time to analyze your effort and treat any strategies and tactics that's not helping you to reach your goal like EBOLA. 8- Don’t try to do it all yourself, involve an expert. Needless to remind you that Buhari has 156k followers on IG but he probably does not know his account password. Outsourcing your social media management will allow you to focus on other aspect of your business. Henshaw Jacobson has worked in leadership positions in sales and marketing with three different companies, helping them achieve their business goals. 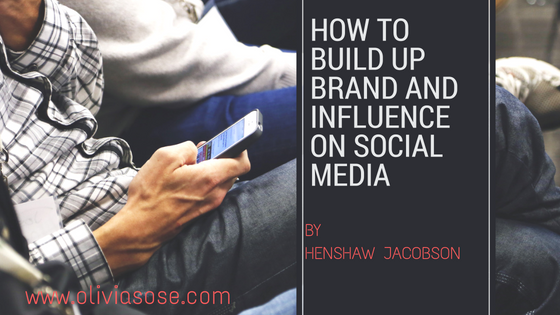 Today, Henshaw helps businesses and individuals gain visibility, grow influence and make money using creative strategies and digital tools. He is a digital marketing professional, social media consultant and Instagram specialist. 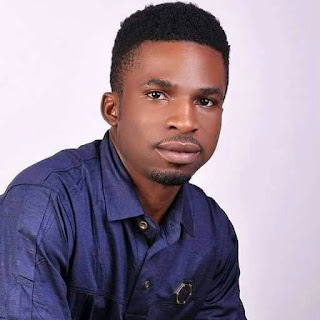 He is the founder of QliqMedia, a digital marketing agency in Port Harcourt on a mission to help brands connect with their target audience on social media and sell online without struggle. Connect with him on Twitter, IG and Facebook @henshawjacobson to access his social media marketing TIPS, free TRAINING and hard to find marketing strategies.